Hey, hope you've all had a good day! Today I have a GOSH polish to show you. I bought this a couple of weeks ago but I know it's been around for a couple of years now. 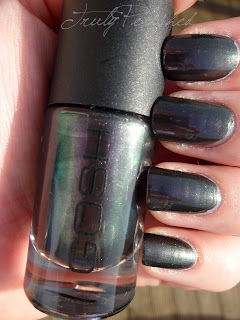 It is my first GOSH polish. 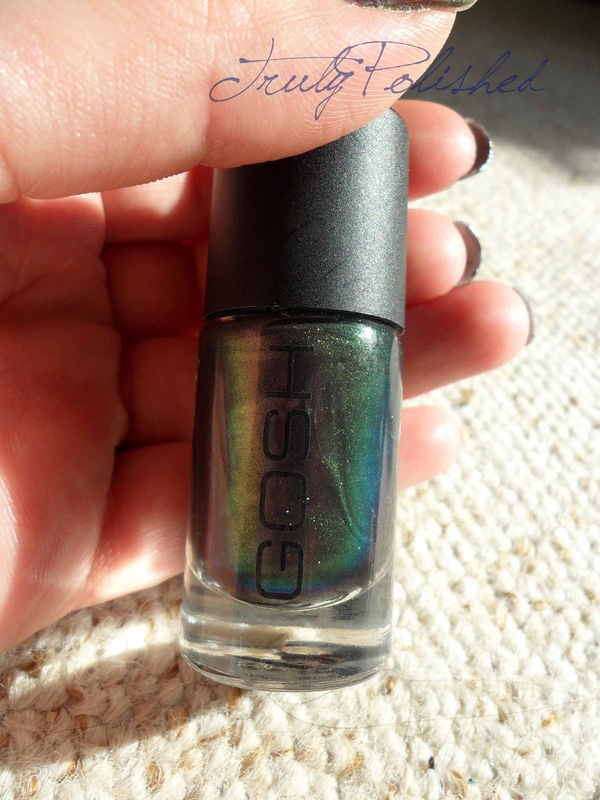 Believe it or not, I've always walked by the GOSH counter without taking any notice. This is how I managed to miss out on GOSH Holographic. However, last time I was in Superdrug I had a look on the GOSH stand and was surprised when this bottle shouted out "buy me!" Purple Heart is a dark grey/purple duochrome which flashes slightly green at the right angles. This is NOTHING like how it looks in the bottle. The different colours in the bottle are so noticeable, there's grey, purple, green, violet and blue. 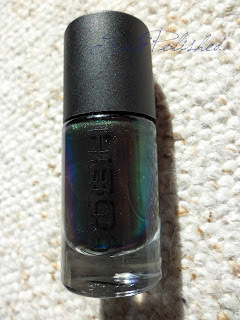 In fact, I've never seen a nail polish bottle that shows off so many colours without having to move the bottle at all. I had really high hopes for this, but on the nail it is so disappointing. It sits purple and doesn't really do much else. I can see a tiny bit of a gunmetal grey and a teensy bit of green, but it's really nothing compared to the bottle! Don't get me wrong, I like the polish as it is. I'm just not crazy about it. 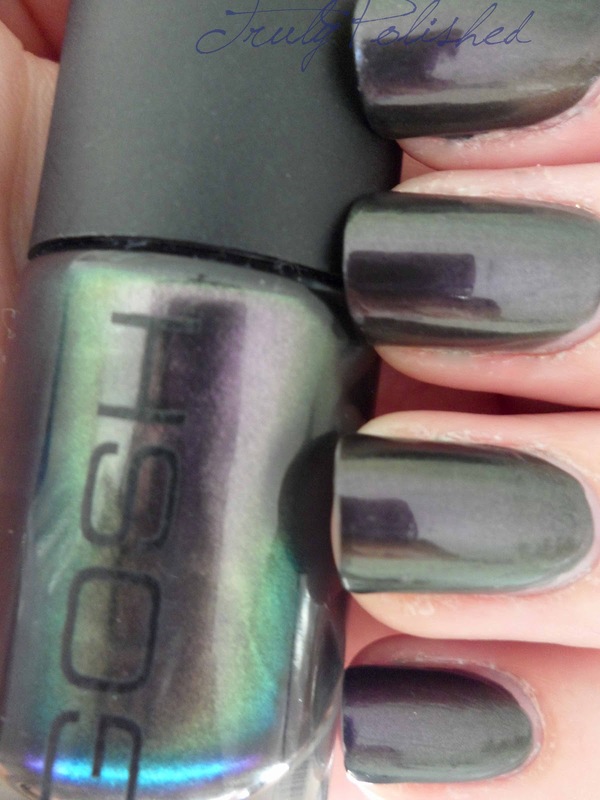 The best thing about this polish is that the formula is amazing. This is a one coater for me. Drying time is fine with SV, touch dry in a few minutes but watch out for dents for around half an hour. It does have a nice finish when dry, almost mirror like. In fact, you can see the reflection of my camera in my nails in some of the photos! 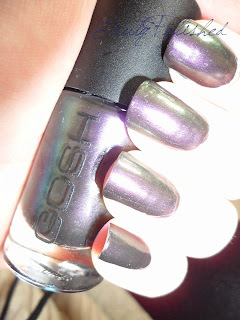 In all of these photos I'm wearing one coat of Purple Heart with one coat of Seche Vite. The bottle in sunlight, look at those colours! The multichrome in the bottle. I was dying for the blue, but it seemed to stay in the bottle! I don't have anything close to this in my stash, but I think this could be for a reason. I wouldn't have bought it if the bottle looked the same as the polish when it's on the nail. 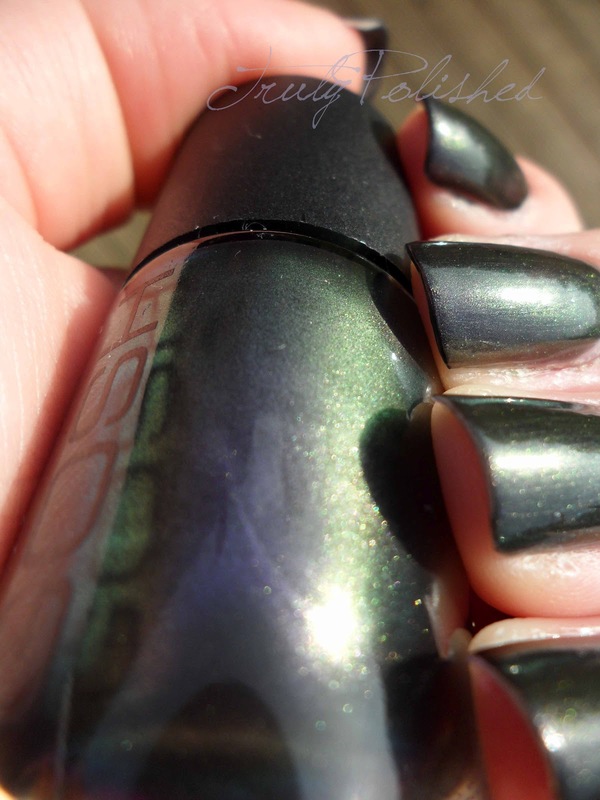 Nevertheless, this polish is available from Superdrug and retails for around £5. It's not available on their website so check your local store if you'd like to buy it.